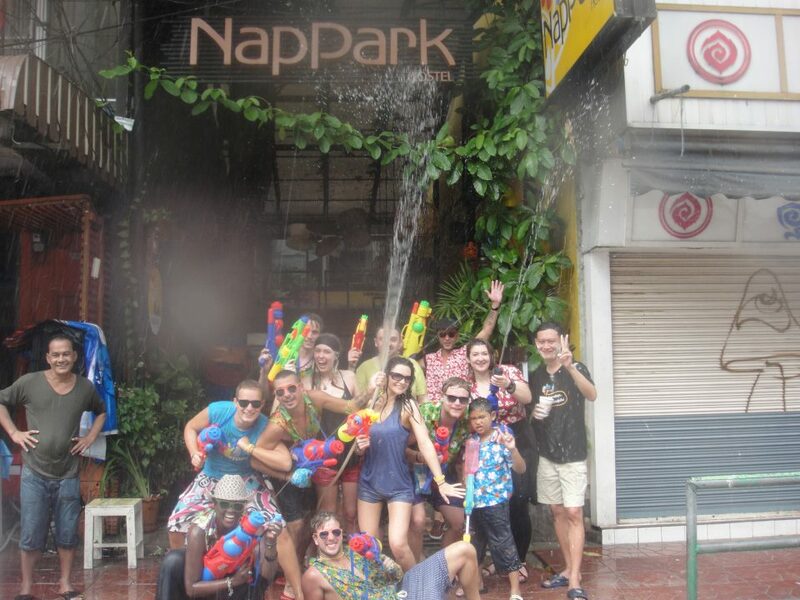 Songkran is upon us! Thai New Year is just about to commence and now it’s time to celebrate and get super wet! From the 13th of April until the 15th of April, the streets will be packed of Thai’s and tourists spraying each other relentlessly. It’s time to get your water guns bought; your water balloons ready and enjoy the celebrations! Here at Nappark we’ll be right in the mix of things. With the walkway leading up to our hostel doors, there will be guests and staff soaked; there’s no doubt it like a swimming pool! Songkran is celebrated throughout the country for 3 days, but some festivities may start before and continue after. Bangkok, Chiang Mai, Pattaya, Phuket, Koh Samui and Koh Phangan are some of the best places to visit. Traditionally Thai’s practice the ritual of pouring water over Buddhist statues, as well as younger generations practicing this over the palms of their elder’s hands. What you will see is the huge water fight that takes place across the country. Waterguns, balloons, buckets, tanks, hoses – you name it, anything that disperses water will be used! It’s about to get wet! Bangkok : Khao San Road, Silom, Siam and RCA are the best areas to celebrate Sonkgran. Chiang Mai: The wettest place in Thailand, City moat and Urban Culture Street are the most extravagant areas to celebrate Songkran. Pattaya: On the 19th of April, Pattaya celebrates Wan Lai Festival, part of Songkran and is the biggest day in the city. · All major banks and hotels are expected to stay open.